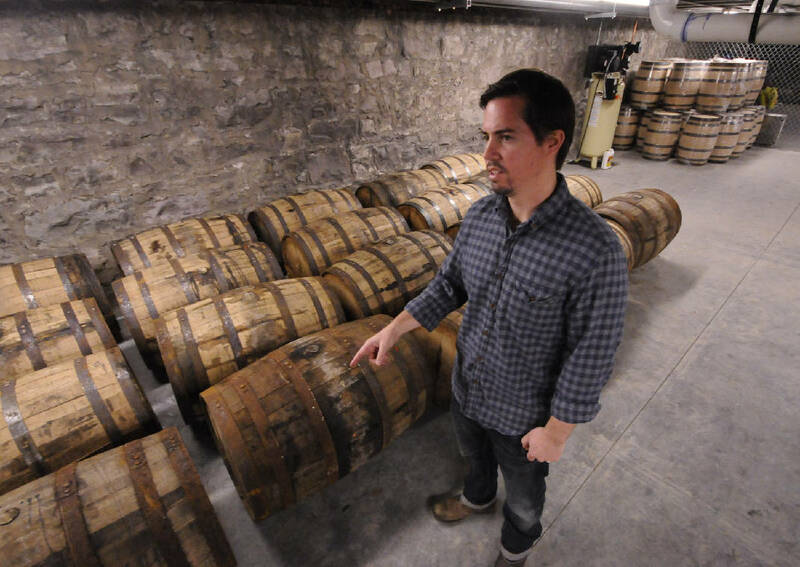 Tim Piersant, owner and co-founder of Tennessee Stillhouse, stands with full barrels of 1816 Chattanooga Whiskey at the company's location on Market Street across from the Choo Choo Hotel. 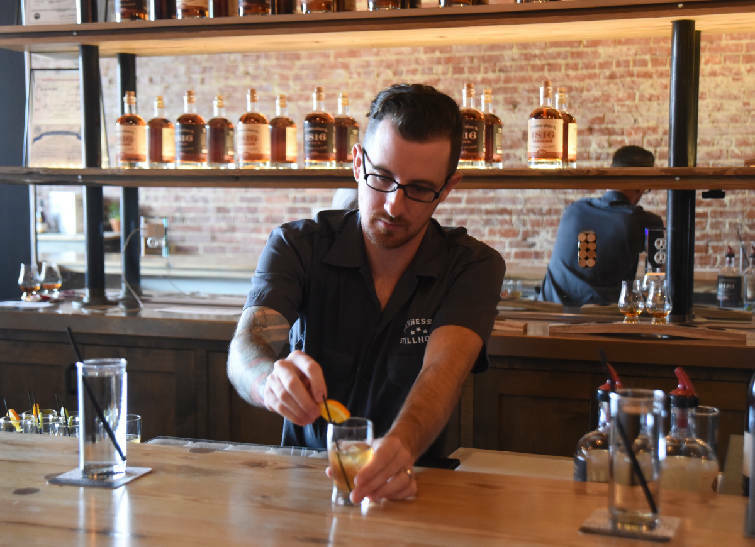 Caleb Warren mixes a drink at Chattanooga Whiskey Stillhouse on Market Street. The Chattanooga Whiskey Co., the Scenic City startup that helped re-legalize the widespread distillation of spirits in Tennessee, will unveil a new logo and brand image for its downtown distillery this month. The Tennessee Stillhouse micro-distillery, which sits across the street from the Chattanooga Choo Choo on Market Street, will celebrate two years in business with a soiree on March 24, and will offer new merchandise to dovetail with its new look. The micro-distillery currently produces one barrel per week at its Market Street location, but Chattanooga Whiskey will ramp that up to 14 barrels per day at a new, 46,000-square-foot facility under construction inside the former Newton Chevrolet building on Riverfront Parkway. The new batches of whiskey at the new distillery will be based on experiments conducted at the Market Street location, officials have said. Chattanooga Whiskey currently sells about 10,000 cases a year of whiskey in three states, Tennessee, Georgia and South Carolina, according to co-founder Tim Piersant said. The micro-distillery can produce only about 2,500 cases annually, he said, which is "not even a quarter of demand." The company has traditionally made up the difference with a hand-selected batch of bourbon purchased form an Indiana distillery. The company will unveil the new logo and branding at the soiree at 8 p.m.